What is the one word that comes in your mind when you think about “PARIS”! Well, for me it is “LOVE”. The city which evokes such a beautiful emotion must be pretty amazing to visit. 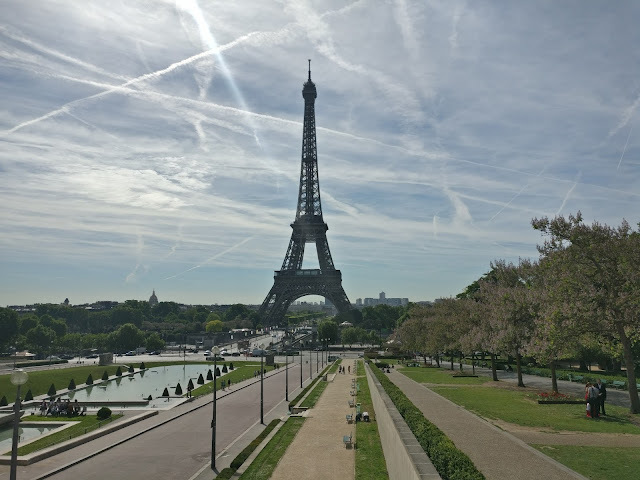 So, I visited the “City Of Love” last year for a short stopover before heading to my next destination. 7.30 AM: My Gulf Air flight landed at CDG Airport. Immigration was pretty quick. Luggage took more time than immigration check. 8.40 AM: Took a RER B train from CDG Airport to Chatelet-les-Halles station. Cost 10 €. Get down to catch a metro to Gare de Lyon station (One stop) from opposite platform. 9.30 AM: Stored my luggage at Gare de Lyon station. Cost 5 € for 24 hrs depending upon luggage’s size. 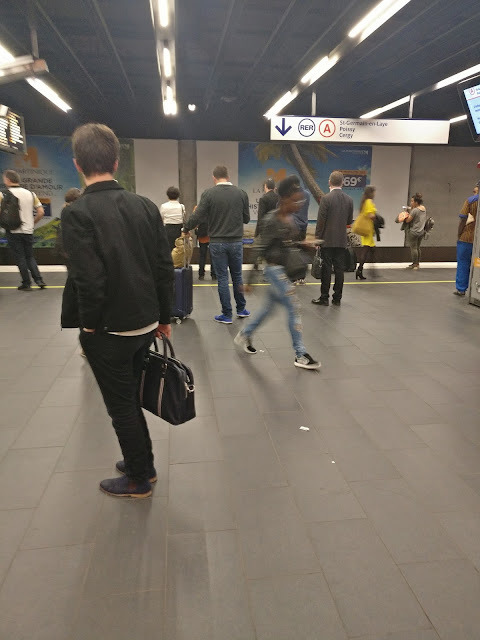 9.40 AM: Catch a Metro to Charles-de-Gaulle – Étoile station. Changed to metro line 6 and get down at Trocadero station to have one of the best views of Eiffel tower. Total Cost €1,90. 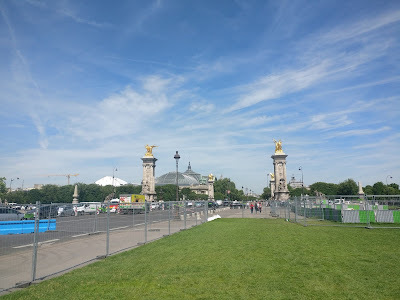 10.30 AM: Relaxed and spend some time at Jardins du Trocadéro (Garden & Pond near Eiffel Tower). Not crowded. Several teenagers were drawing Eiffel tower. People were strolling. Kids were playing. Nice ambience. 11.40 AM- 1 PM: Entered Eiffel Tower. I had booked the 11.30 AM slot. Pre-booking is recommended. Cost €11 excluding summit visit. It was really jam packed at Eiffel tower. I didn’t find it appealing but the view from Eiffel tower is extraordinary. I didn’t go to the summit. 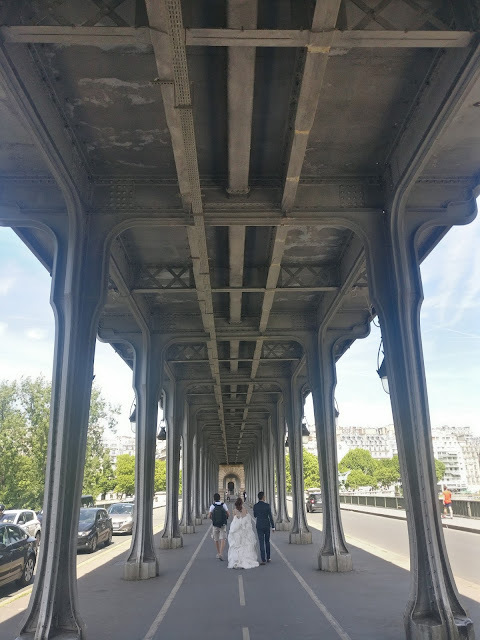 1 PM – 2.40 PM: Explored Pont de Bir-Hakeim (Famous bridge near Eiffel Tower) featured in Marlon Brando’s “Last Tango In Paris” opening scene. I saw a foreign couple in their wedding dress roaming around in Paris accompanying a photographer to click their picturers. Pretty cool! 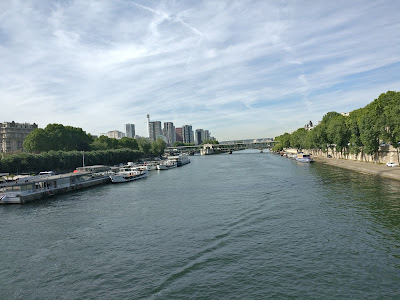 I strolled alongside Seine river. For an hour i walk aimlessly on the streets of Paris and stumbled upon cozy cafes, beautiful gardens & buildings, Cathedral and Formula one cars’ yard! Best experience in Paris. 2.40 PM – 3.10 PM: I had a lunch at “Au Vieux Colombier” located in Rue de Rennes. Lunch was underwhelming. Basically, it was Egg Omlete & Fries with a Mocktail. Nice neighborhood though. Total Cost €21,50. Metro station is just a stone throw away. 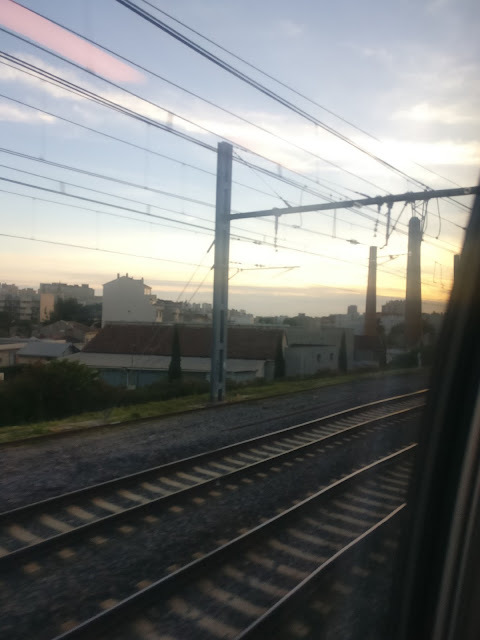 3.30 PM: Took a metro to Charles-de-Gaulle – Étoile station. Cost €1,90. Reached one of the most famous streets of Paris i.e Champs-Élysées. 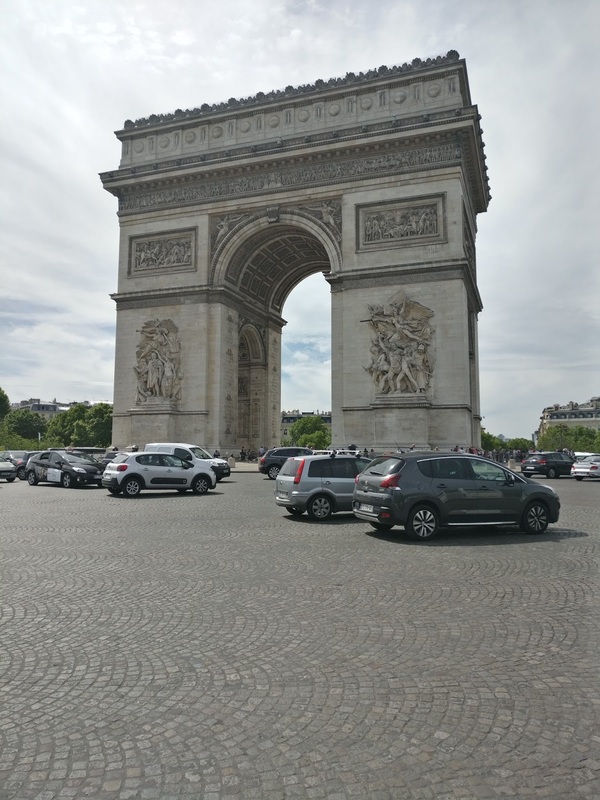 3.30 PM – 4.30 PM: Explored Champs-Élysées street and nearby Arc de Triomphe. Street was really crowded. A tourist hotspot. Many cafes, shopping malls, expensive stores are here. 5 PM: Reached Gare de Lyon station. Cost €1,90. After collecting my luggage, i board the train to cannes! You got so much done in Paris in such a little time. The view from the Eiffel Tower looks incredible. I live in England and it's still on my bucket list to visit properly I went to Disney once but i'd love to explore some more! What a busy day you had and you managed to take in so many different areas and experiences. Makes me want to go back for another visit since it's been nearly 10 yrs now since the last one. Such a great experience even for a short time. Too bad we were not able to do this when we had a short stopover in Paris. Will definitely keep this in mind next time. Sounds like it was quite a day in Paris. I would want to add a few other places to my visit but with only 9 hours, you did as much as you possibly could. It looks amazing. Nicely written & fabulous way to spend 9 hours! You really know how to make time work for you! I love Paris, and your pictures are amazing! Its great to keep in mind how you spent your 9 hours there! I adore paris! So much to see and do there! I can't believe you got so much done so quickly! You need to plan trips for others! Great pics! wow what a fun day for you! i am always intrigued by travelers who can find the time to do everything in a day or two. i think i'll add paris to my list to visit one day or actually a week! You truly maximize those 9 hours and make the best of them. Thanks for sharing your amazing experience with us. 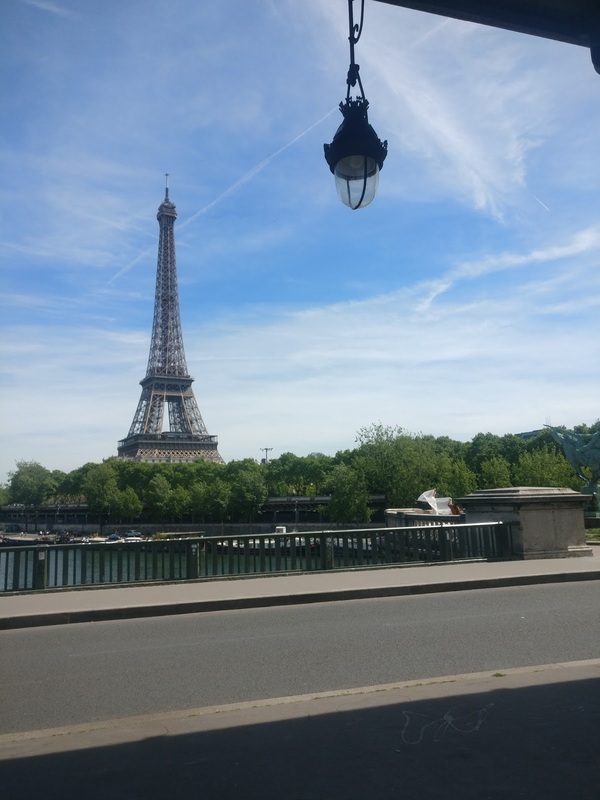 We did a day trip to Paris from London and it was wonderful! We made it to the Louvre for a quick 1 hour tour after lunch at the Eiffel Tower! Oh wow, you got to see so much in such a small period of time. 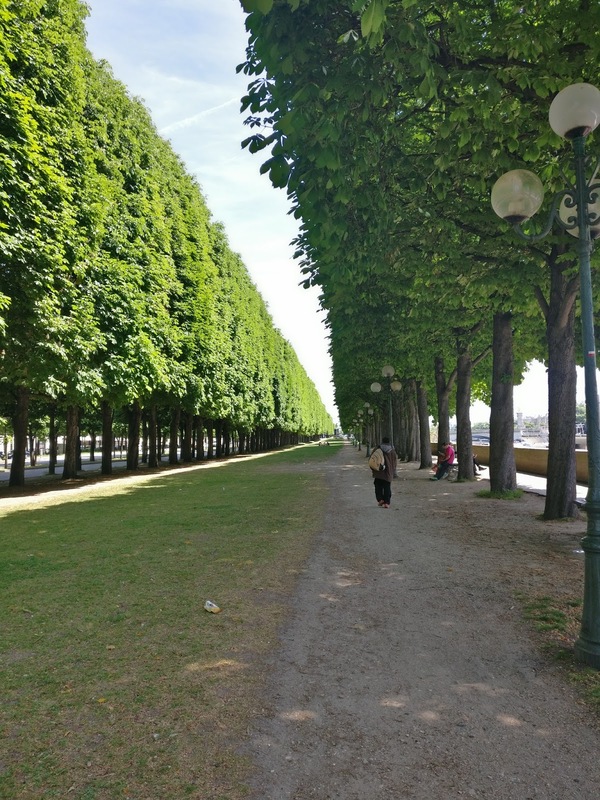 I remember I got stranded in Paris once because I missed my train, I so did not mind! One of the best cities for a layover.